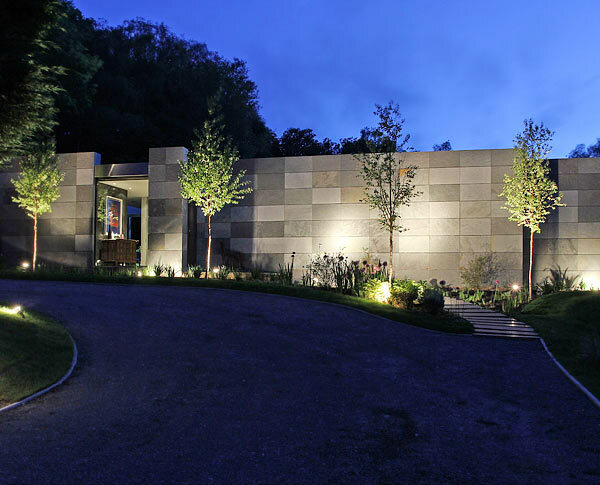 A secluded woodland site in a rural environment provided a planning challenge. 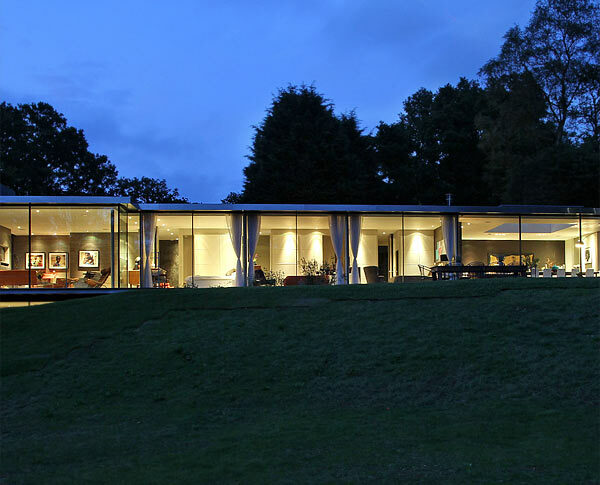 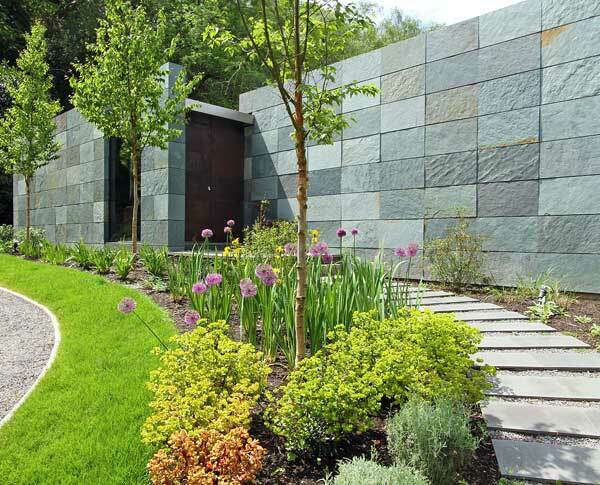 We were able to negotiate successfully with Waverley council to construct a largely glass home, making best use of the available views to the south, whilst retaining a more solid stone clad facade towards the road and the public realm. 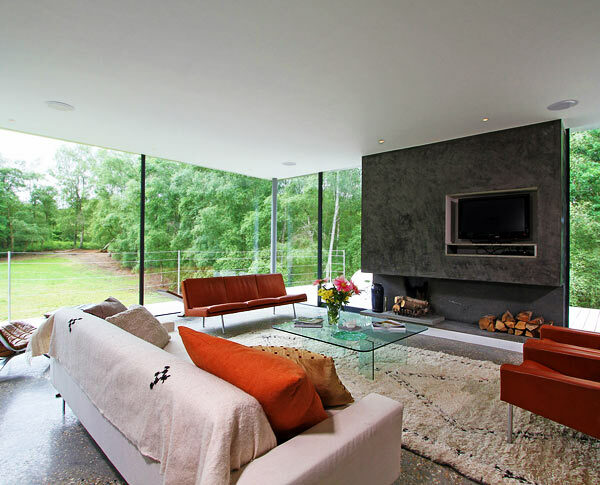 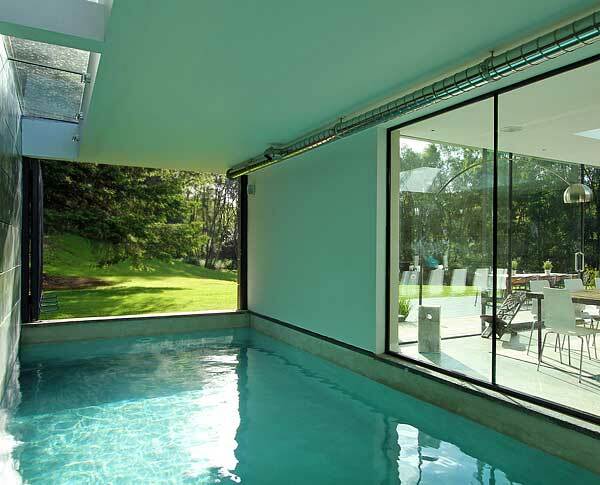 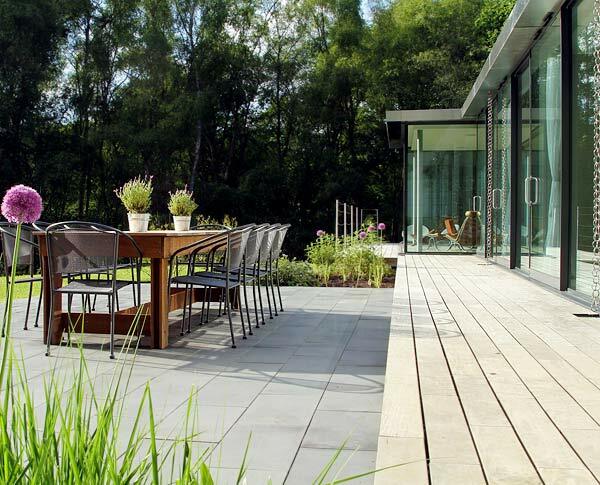 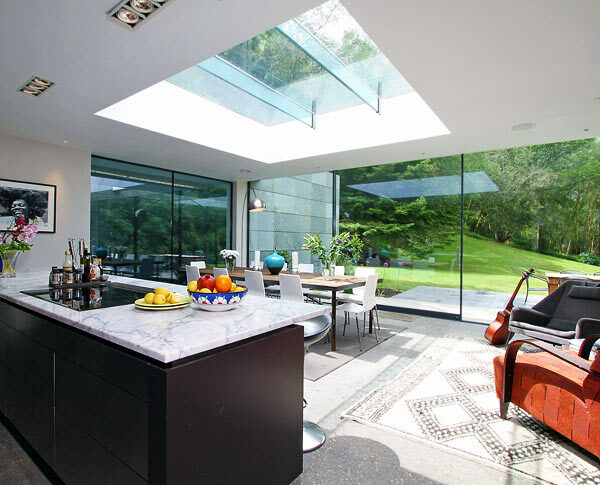 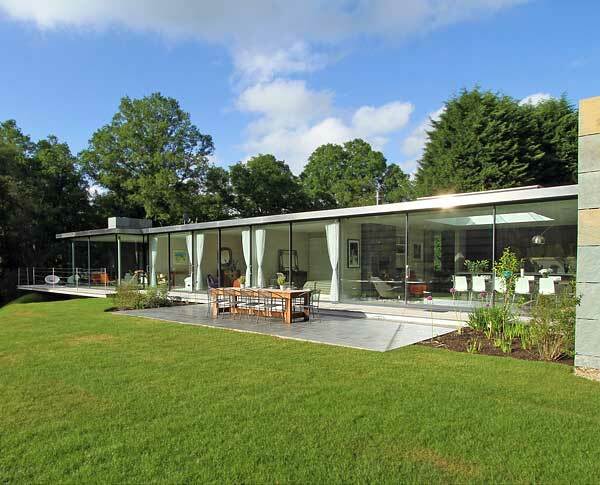 See Reed's Hill glass house for a similar project.